Artificial intelligence (AI) has seeped into almost every corner of higher education, popping up in the classroom, administrative offices, and even in dorm rooms and on campus grounds — all with the promise to streamline tasks and create a more personalized college experience for students. As the technology steers colleges away from a one-size-fits-all approach, it is helping them make progress on one of their most long-running goals: making higher ed more accessible to all types of learners. It is doing that in several ways. Among them, by scanning class materials for accessibility issues, improving learning tools for students with disabilities and offering personalized resources for learners who may need additional support, such as those who speak English as a second language. AI stands to open the door to levels of accessibility that weren't possible before, and its effects extend to the entire student body. "So many of the barriers that are in the (college) environment are due to technology," said Cynthia Curry, director of the National Center on Accessible Educational Materials for Learning. "If there can be systems built within technology to automatically, accurately and consistently make sure that the technology is being delivered in a way that's inherently accessible to all learners, that's really exciting." Speech-to-text software is perhaps one of the most prominent examples of AI being used to assist students with disabilities on campus. As the name suggests, the software can take audio and translate it into written word, helping those who can't or may have difficulty taking notes or hearing an instructor during class. The Americans with Disabilities Act (ADA) and the Rehabilitation Act require public colleges and institutions that receive federal funds to provide transcription services to students who need it. But doing so is no small feat; it can take hours for service providers to transcribe and write captions for all of a class's materials. 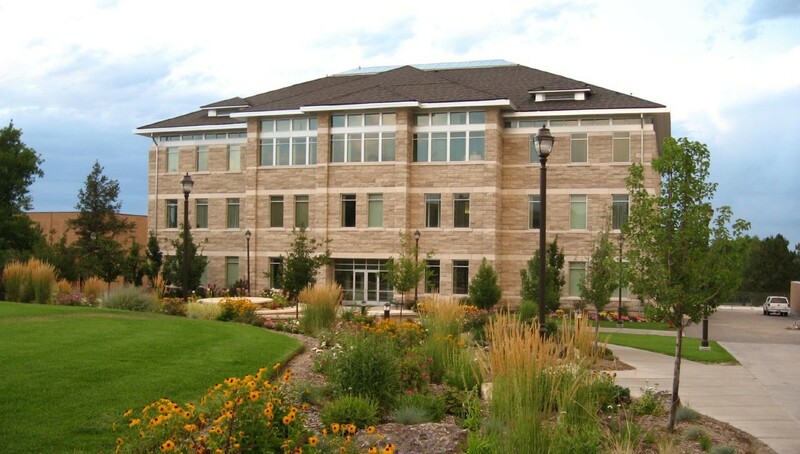 Brigham Young University-Idaho cut down on its backlog of transcription requests by turning to the start-up Verbit. That's an issue Brigham Young University-Idaho ran up against several years ago, said Valerie Sturm, the university's deaf and hard of hearing services coordinator . As the use of online learning tools — such as movies, YouTube clips and TED Talks — grew in the classroom, the university's backlog of transcription requests for media swelled. "We were behind in media by several thousand pieces — not minutes, but pieces," Sturm said. In 2017, Sturm shopped around for a speech-to-text service to cut down on the mounting work, eventually settling on Verbit, a start-up that also claims Harvard University, Stanford University and Coursera as customers. Verbit quickly proved itself, chopping the media backlog down within a matter of weeks, Sturm said. The company now does most of the post-production captioning for the university's classroom media and performs some of its transcriptions for live lectures, though on-site service providers are still used as well, Sturm said. While some students prefer the university's human providers, which are either community or student employees, she believes Verbit can be more reliable. "It really is a viable option for students who have a concern about speed and accuracy because (for) the on-site service providers, ... it depends on their individual response that day," Sturm said. "Are they feeling good? Are they tired? Have they got their own class project to worry about so their mind isn't really on their business? The artificial intelligence doesn't have those kinds of issues." "If there can be systems built within technology to automatically, accurately and consistently make sure that the technology is being delivered in a way that’s inherently accessible to all learners, that’s really exciting." Speech recognition has seen vast improvements in recent years. Heavyweights in the field such as Google and Microsoft, for instance, now boast speech-to-text accuracy rates that hover around the 95% mark, which is around what human transcribers can do. But in the classroom — where background noise, cheap recording equipment and the use of jargon and other uncommon words can make speech harder to understand — the technology's accuracy can dip. Christopher Phillips, electronic and information technology accessibility coordinator at Utah State University, said he sees most companies advertising their accuracy rate at roughly 80% to 90%. "(That) sounds high," he said, "but you're saying one out of five or one out of 10 words is incorrect, which is pretty crummy service." However, the industry standard for closed captioning is a 99% or better accuracy rate, meaning a human still has to check and correct the work of AI-powered speech-to-text tools. Even so, the technology improves with time, and can even point out to instructors where in their lectures they're not enunciating or if they're using odd phrases that could make their speech difficult for the software to pick up. Speech technology still needs to improve before it can be used without a person checking its work for accuracy, Curry said, adding that trouble can arise when instructors put "too much faith" into the technology. Automatic speech recognition "is a promising step," she said, "but we still need to think of it as a first step." 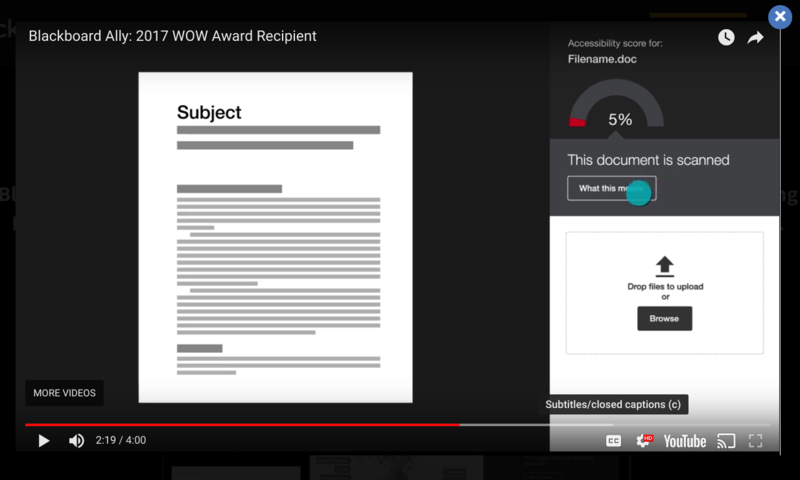 Still, speech to text can reduce the time it takes to get a document up to the 99% accuracy benchmark because transcribers no longer have to start working on a file from scratch. That process can lead to cost savings for colleges, said Fred Singer, CEO of Echo360, a video platform that provides automated closed-captioning services. "If you want to get to 99%, the only cost-effective way is to start with this (automated) transcript and then pay somebody to fix it." Much in the way AI provides a faster pathway to transcribing speech, it can help colleges pinpoint and convert thousands of inaccessible documents into more easily used formats. To do so, Utah State uses Blackboard Ally, a tool embedded within the learning management system that automatically checks documents instructors have uploaded for accessibility issues. Utah State University uses Blackboard Ally to scan documents within the learning management system for accessibility issues. When Ally's scanner finds issues — such as a PDF with hard-to-read text, for example — it flags them and gives the document an accessibility score. It then offers suggestions to instructors about how to improve those documents and can convert them into alternative formats, such as an audio file that a student can listen to on the go. Although the process uses AI to identify issues, it still relies on human intervention for course correction. And Curry cautions that such services can give instructors a "false sense of security," because the technology may miss or be unable to fix issues on its own. Even so, Ally and other services like it have been game changers for colleges making content more accessible, Phillips said. "It's very hard to justify the cost to go back and do more individualized document-by-document accessibility work, (which) can now be automated to a certain degree," he said. "Some of that information that was fairly locked up to users with disabilities (is now) more accessible than it might have otherwise been." "We can start to, not hand over the reins to artificial intelligence, but figure out good and healthy partnerships." And because the service flags issues that pose problems for students with disabilities, such as scanned documents or untagged PDFs that can be difficult for those using screen readers to understand, it can teach instructors what kinds of materials are more accessible. "That's an important step," Curry said. "A lot of instructors may not have considered before (or) even thought that their material could be presented in a different format, so just having that in front of (them) can be really powerful." Blackboard's review of Ally analytics indicates slight progress on some of these issues. 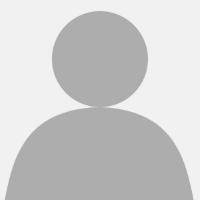 Five years ago, for example, 52.5% of all PDFs in the LMS were untagged, compared to about 44.6% today. Yet during that time, the number of documents in the system with contrast issues and without headings increased, according to the company. What's needed to foster more widespread adoption of accessible course materials, Curry said, is for colleges to provide instructors with professional development opportunities that help them understand why accessibility is essential for students with disabilities. Phillips predicts higher ed's use of AI will only grow. "We can start to, not hand over the reins to artificial intelligence, but figure out good and healthy partnerships," he said. Through the use of AI, some online education tools have been able to adapt to the unique needs of each student, a benefit that extends beyond those with disabilities. Take Voxy, a web and mobile application that has made strides in increasing students' English language proficiency by generating personalized lessons for them that adapt to their individual skill levels and interests. Colleges can offer the platform either to supplement their own courses and programs or as a study tool. "One size doesn't fit everyone," said Katie Nielson, chief education officer at Voxy. "In fact, with language learning, the more personalized you can make content recommendations, the better." The AI behind the platform has cut down on the time needed to personalize each students' program, with Nielson estimating the platform does in 10 minutes what would take an instructor about six hours. "You're going to get to this whole other level, and it's because we're starting to automate this whole process instead of it all just being random and not data driven." That kind of service would be nearly impossible to replicate in a typical English-as-a-second-language class at a community college, she said, in which a professor would have to craft learning plans for upward of 20 students, all from different backgrounds. A recent study by the American Institutes for Research backs up Voxy's claims that its AI-powered service offers a better way of learning English. Out of 317 students enrolled at Miami Dade College's language labs, those who used Voxy learned more English than those who didn't use the platform. Students who used the service didn't engage with it for the recommended amount of time, the study notes, though they did use it outside of class time. Additionally, some of the technology that benefits students with specific learning needs has broader uses. For instance, students in classes that use Echo360's closed captioning service have access to transcripts they can search by keyword when they study or revisit the material. Additionally, conveying content in multiple ways can increase the likelihood students will learn new information, Curry said. What's more, researchers can comb big data sets produced from technology, such as automatically generated lecture transcripts, in order to better understand how students learn and interact with the material. "There's going to be all kinds of relationships we had no idea really existed about how learning takes place," Singer said. "You're going to get to this whole other level, and it's because we're starting to automate this whole process instead of it all just being random and not data driven."